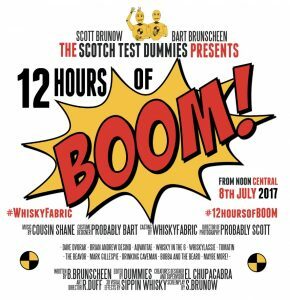 On Saturday July 8, 2017 Bart and I set out to do 12 Hours of Boom on our Youtube Channel. One guest every hour for 45 minutes with a 15 minute break, for 12 straight hours. Noon to Midnight, nothing but Dummies. 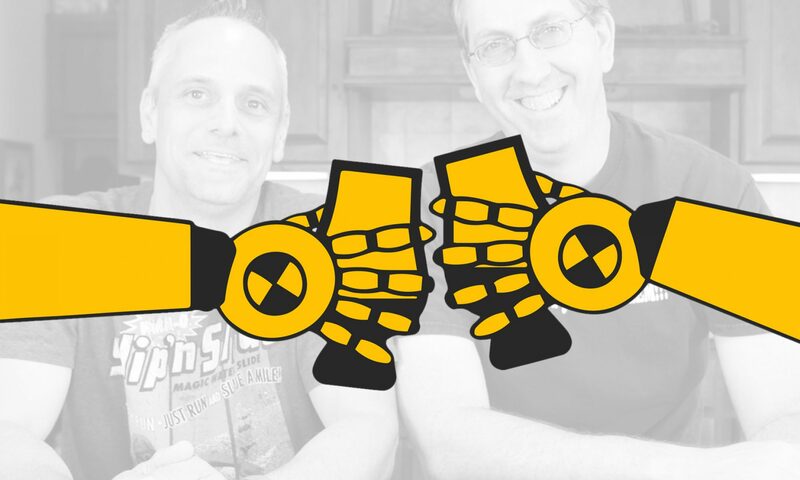 The first episode of the day was set to be just Bart and I in my kitchen where our very first review was filmed in October 2013, almost 350 reviews ago. Sam Speers has been a great supporter of ours from the beginning and he has sent us several samples from bottles of his that he enjoys. One of the first live streams we did was with him and the Balvenie Tun 1509 Batch 2 samples he had sent us. We didn’t even know how to use Youtube Live Stream at the time so we merely did a FaceTime with him and then set up our camera to record the tablet showing Sam during the FaceTime. Back to the first episode of our 12 Hours of Boom, we decided to taste samples of Balvenie Tun 1509 Batch 3 that Sam had sent us. As soon as the dark nectar hit my lips I knew it was good. At 52.5% Batch 3 is bottled higher than either Batch 1 or 2. I’ve heard that the youngest barrel used by David Stewart in the Batch 3 is 22 or 23 years old. 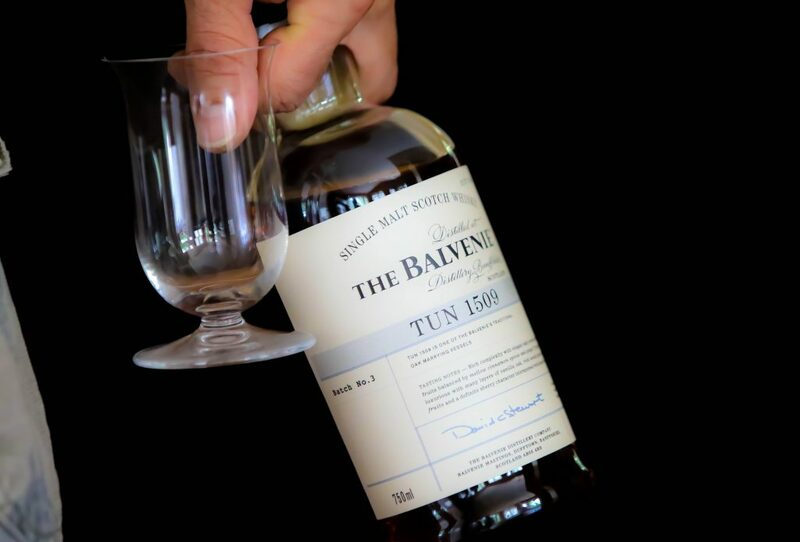 The age of the whisky shows as it coats your mouth with richness, and the finish that keeps on giving. I declared this one of if not the best scotches I’ve had. We rested on (Sunday) the day after the 12 Hours of Boom, which we both thought went swimmingly. On Monday Bart and I were set to film some reviews, but before we did we decided to go whisky shopping. We first went to Grove’s Liquor which is a large store here in town, and we are known there. Lo and behold on the shelf I spied with my little eye a bottle of the Tun Batch 3! It was sitting as if in a briefcase and when the briefcase is opened a golden ray of light escapes to reveal the contents. YES!! I had found the sweet golden juice and quickly picked up the bottle which had a price of $399 on it. Probably the last bottle in town. This definitely would be the most expensive bottle I’ve ever purchased, but believe me it is worth it. Since we are known as the Dummies I also got a discount we sometimes receive which helped with the price, but still kept it as the most expensive bottle I’ve ever bought. A couple of other stops during our whisky run and I also picked up a 15 year old Linkwood Gordon and Macphail bottling. Off to Barts we went to shoot a couple of reviews including a bracket or two of our 16 Bottle Big Blind Bourbon Shootout. While we were filming the fourth bracket, my wife texted needing the vehicle I was in to take our younger son to basketball practice. Our seventeen year old was off in our second vehicle at football practice. We paused the filming so I could take the car home, and Bart would follow to bring me back. I rushed home, pleased with myself at how I was able to navigate traffic hitting all green lights. I zipped into my drive thinking my wife will be glad I got home so quickly and our son would not be late for basketball practice. I hastily jump from the vehicle grabbing both bottles of the Balvenie Tun and the 15 year Linkwood. In the next split second, it was over. I can’t even explain how it happened, but as I jumped from the vehicle I felt something happen with the bottle in my left hand, and the next thing the Balvenie lay shattered on the concrete in the hot July sun. I can remember thinking as it slipped out of my hand”please let it be the Linkwood.” The aroma was amazing. The chart showing the flavor profiles of each cask used was soaked. The bottom of the bottle shattered. My hopes and dreams shattered. The most expensive bottle I’ve ever bought, gone. My first thought was blame it on my wife for making me bring her the car. Quickly I realized it was no ones fault but my own. I accepted the blame quickly. I scooped everything up and threw it in the trash can and accepted the loss. Bart pulled up to pick me up and I pointed out the dark liquid stain now on my driveway, not too far from where he dropped a bottle of Cragganmore several years ago. We went back and finished filming the bourbon shootout. A couple of weeks later I went back to Barts to shoot some reviews. We begin to film a review of Black Bottle blended scotch and Bart surprises me with a gift. He had put our Whiskey Scout, Robert Hendrix, on a mission to find me another bottle. The Scout came through and located another bottle in Salina about 90 miles away. Without hesitation Bart bought a new bottle for me to replace my shattered bottle. I couldn’t believe he did that! What a great friend! We had to open it and review it right then. It was as good as I remember. Great writeup. Traumatic loss made for some great videos. Bart and the Whisky Scout come through for the win! Thanks Jessie. Still trying to find the time to write more with all the other going ons. Your hast laid waste to that nectar that you shall never taste………I don’t think I would want to ever handle another bottle of whisky again if it had been me. Perhaps it was meant to happen and the whisky was meant to go live with the angles? That broken bottle with part of my soul attached to it was auctioned off during the Live Drams 4 Fams Fundraiser on May 27th 2018. And i would punch an Angel right in the nose if he/she tried to take my Tun! Scott – I only learned of your website this weekend, by way of mention in some of the Aqvavitae videos. Your ‘Scotch Test Dummies’ theme, and your personal Scotch journey, immediately resonated with me. 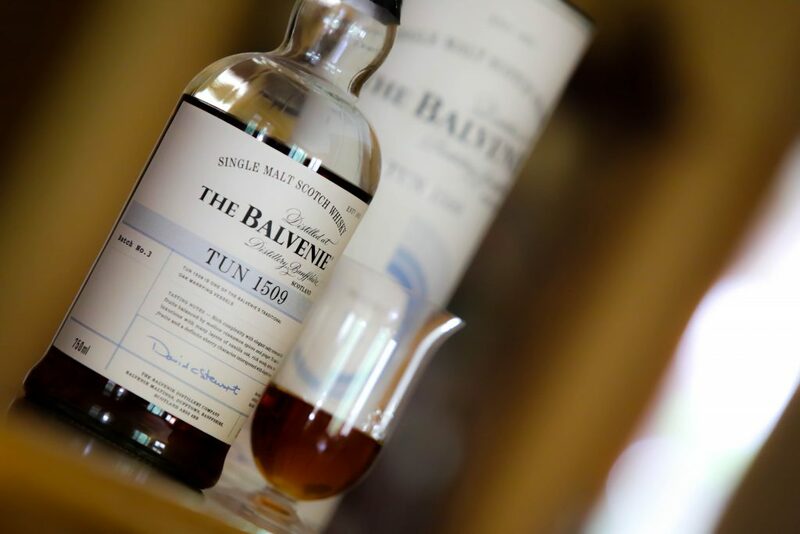 I found the story behind the broken Tun bottle to be very poignant, but I was really moved by the efforts and generosity of your friends, going the extra mile to replace your prized bottle of Balvenie. I ordered my Dummies tee shirt this morning, and will be following your adventures going forward. Slainte!